Maybe you are located too far away to attend one of Digital Drafting System's Instructor-led classes or maybe your schedule does not coincide with our class dates. Possibly you are too busy during the day to leave and would prefer taking a class in the evening or on weekends. Maybe your budget for training and travel expense is limited. Whatever the reason, Inlet Technology's e-Training is a proven alternative to classroom training. Every aspect of the course requires interactivity with the courseware and software. This increases retention and engagement with the curriculum. Clear, concise and detailed video demonstrations on how to perform software functions. At the midway point in every chapter there is a short quiz to ensure a full understanding of material presented throughout the course. Allows the client to follow step by step instructions to receive maximum benefits from the software. Are the tips and tricks, best practices and shortcuts, added from the instructor's experience. At the end of each chapter there are quizzes which will again test retention of course material and demonstrate competencies. All e-Text is explained by an instructor to describe the e-Text from a different perspective. Every topic has practical examples embedded. This allows the learner to practice the application using the software with pre-prepared class files designed to best demonstrate different concepts. 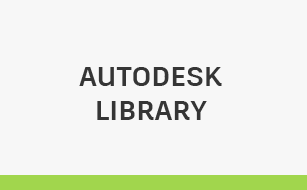 Certified Autodesk software users are available to assist when questions arise. Digital Drafting Systems e-Training provides users with the highest level of flexibility. They can choose to use all of the learning styles provided or to focus on the style that works best for them. Course structure and competency-based progress is there to demonstrate completion of a course; however, if resource tools are all that is required, the course can become completely flexible for searching and viewing topics as required. Targeted libraries for those who design, build, make and create. The Complete Guide series is designed to give you a solid understanding of software features and capabilities. The courses are divided into logically organized, easy-to-follow lectures and topics. Along with text, graphics, audio, and video demonstrations, a typical lecture features multiple “Let Me Try” exercises that take you step by step through sometimes complex procedures. The goal of performing these steps on your own is an understanding that goes beyond simply knowing what things are called and where to find them, into practical experience with skills you can apply to real-world situations. 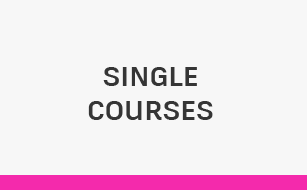 The Guided course is structured to be completed in order from beginning to end. Once any topic is completed, you will have full access to it at any time for one year after registration, to use as a resource. 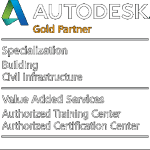 The Guided courses includes Technical Help Desk Support as well qualifies for a Certificates of Completion when purchased through a participating Autodesk ATC®. Note, not all courses have the guided version. While each Let Me Try project presents different solutions and methods, we urge you to focus on the concepts and techniques presented, rather than memorizing the specific steps used. Out in the real world, you will be presented with many different situations, and understanding the “Why” of what you´re doing will help you more than memorizing the exact “how”. The Complete Guide series has been carefully structured not only to give you the knowledge and skills you need to be a successful software user, but also to prepare you for the certification exams. This is why we include guides that let you know which topics are of particular importance for certification. The Flexible course is not structured like Guided version, however does contain all the same content, including the lecture quizzes for your own assessment. Flexible course delivery allows full access to any area of the course and is available to you for one full year after registration. This allows you to find what you need, whenever you need it. The Flexible version is not eligible for the Certificate of Completion. Volume discounts starting at just 5 users. 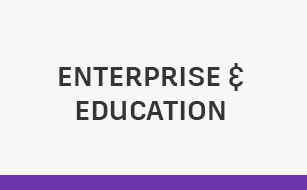 Contact getstarted@globaletraing.ca for more information.